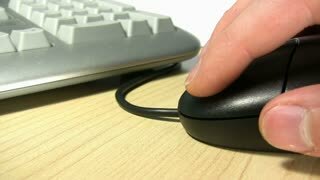 Search Results for "click mouse"
Clicking on an Approve button with a mouse cursor. With optional luma matte. Closeup shot of a female hand using a computer mouse. Woman clicking mouse and scrolling website. Freelancer at home. Young businesswoman working on her computer in the office. Writing an email clicking the Mouse with defocused background. A clerk emailing a corporate letter and chatting. Mouse Clicking a Subscribe Button and Bell Notification with a White Background. Mouse Clicking Subscribe Button and Bell Notification with White Border and Black Metal Background. Mouse Clicking a Subscribe Button with Transparent Background.